Can You Get Stomach Flu Twice? Infecting with the flu, also known as influenza, can lead you to feeling lethargic, fatigued and generally unwell. 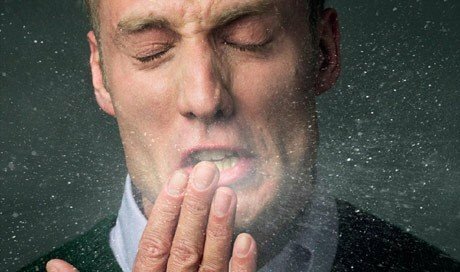 As the flu virus can spread from person-to-person, if you are within close proximity of someone who has flu, it is highly possible that you may begin to develop the bothersome symptoms associated with the virus. Once you have developed flu, it is then possible for you to infect more people, causing the spread of the illness. This may lead you to ask, how long is the flu contagious? By knowing the answer to that question, you can avoid getting the virus, or help to prevent infecting others if you do develop flu. When the flu virus is exposed to a healthy individual, it takes time to begin to show symptoms. This means that the virus can potentially be contagious before any symptoms begin to develop, that is to say, you can spread the virus for a whole day before you know you are ill. For those with weaker immune systems or other underlying health conditions, as well as the elderly, symptoms will likely develop quicker than they would develop in healthier individuals, although most people are contagious before showing symptoms. Once symptoms begin to develop, the virus often remains contagious for around five to seven days, and it is believed that children can harbor the contagious virus for a longer duration of time.The flu can be contagious for well over a week in some cases, which is why isolation is often advised to those with the virus, in order to prevent them from infecting others. When asking "How long is the flu contagious? "you should also ask yourself, "How does the flu spread?" As knowing how the virus spreads can help you to take steps to avoid getting infected. The virus is mainly passed from person-to-person. When the patients have flu coughs or sneezes (both symptoms of the flu), they propel tiny droplets of mucus which contain the contagious flu virus. These droplets may land directly into the eyes, nosesor mouths of others, causing them to obtain the flu virus. It can also be passed by touching a surface that has mucus droplets upon it. The virus can develop if you get the mucus substance on your hands and then touch your eyes, nose or mouth before washing your hands with germ-killing soap or hand wash. Flu shot– The flu shot is a vaccine administered via a needle, either into a muscle or just under the skin. The shot into the muscle is appropriate for all people over the age of six months; the jab administered just under the skin is given to those between the ages of eighteen and sixty-four.This vaccine is known as an inactive vaccine, meaning it contains the “killed” virus. Nasal-spray flu vaccine – This vaccine is administered via a nasal spray, and is suitable for people between the ages of two and forty-nine, although it is not used on those who are pregnant. This vaccine is also known as Live Attenuated Influenza Vaccine, as it contains the live flu virus which has been weakened, meaning it helps to prevent the flu, as opposed to cause it. Even if you have ascertained the answer to the question – how long is the flu contagious? You may still develop the virus, so it is important to know what to do if this happens. As mentioned, isolation is often recommended to those who are ill. This means staying at home whilst you are ill, so as not to infect others. You should also practice other health habits, such as consuming a balanced and nutritious diet, exercising regularly, sleeping enough, washing your hands regularly, drinking plenty of water, etc. These can help you eradicate illness, as well as preventing it. In severe cases, where symptoms become unbearable, you may visit your doctor who can prescribe you with antiviral medication. This medication is stronger than that which is sold over the counter, and is only available via prescription. When taken, it can help reduce the severity and the duration of the flu virus.